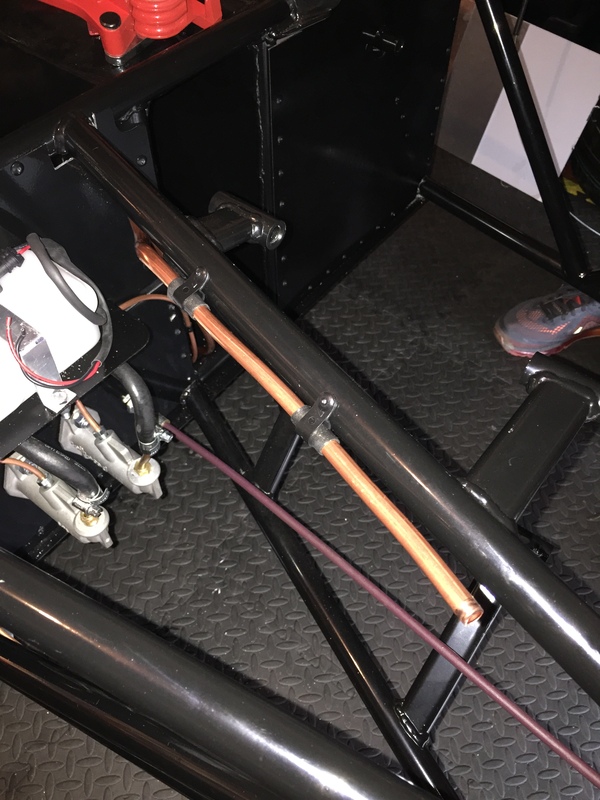 I have to confess, I wasn’t looking forward to this one, Its just like the brake lines but with much bigger, and less flexible pipe. 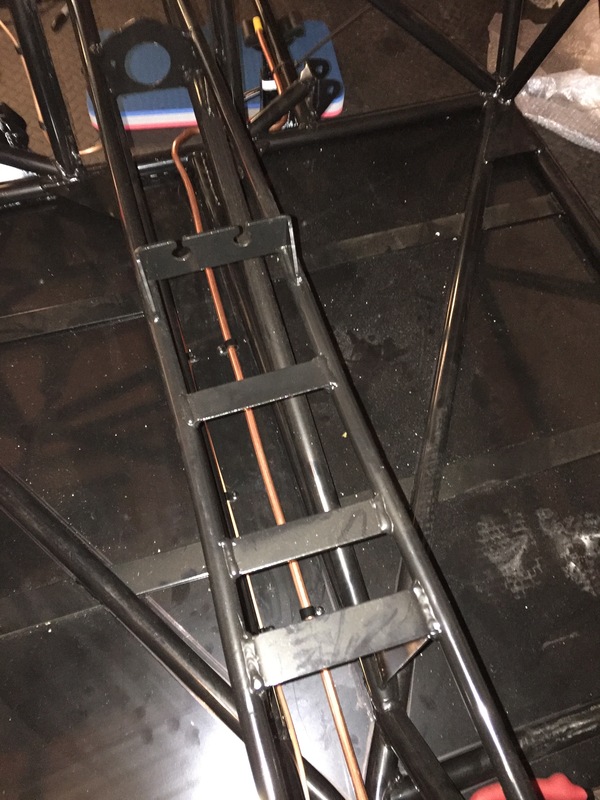 Anyway, Marc at MNR had advised I didn’t need to run dual lines to the front of the car on my setup and could use just the one so that is what I set out to do. 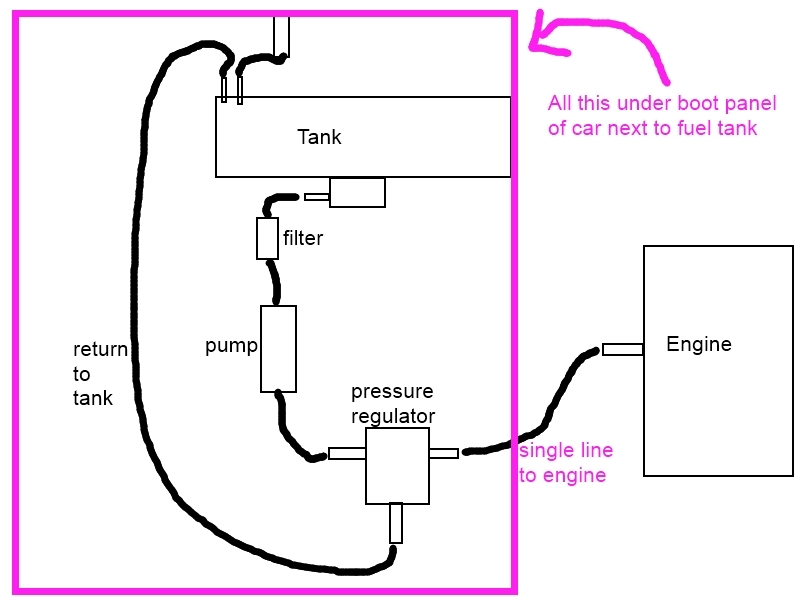 So first up grab the fuel lines and run a length front to rear. 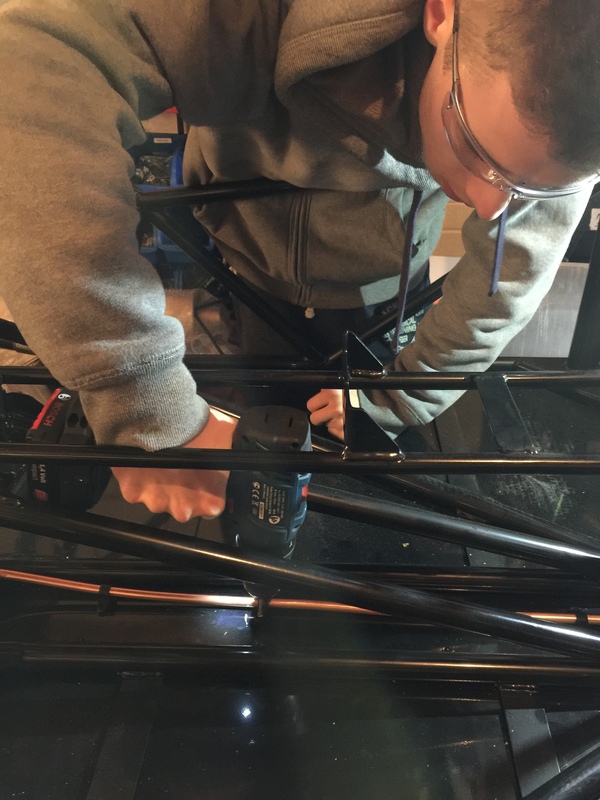 Took ma ages to bend and shape it to fit the profile of the chassis, and my Son, Dan, popped into the garage to talk about his Christmas list ( bits he wants for his car), so I roped him into giving me a hand. 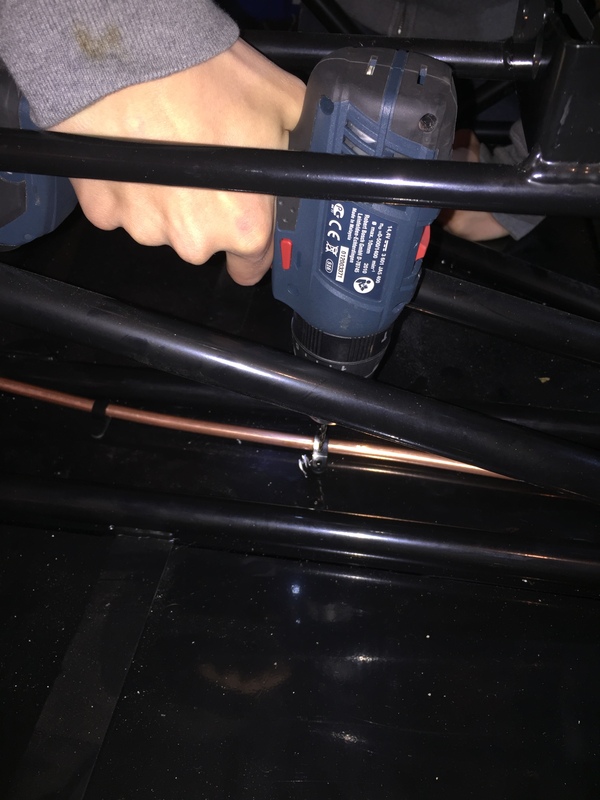 Once shaped, we drilled and riveted clips in place to keep the line secure and routed it front and rear so it should be clear of fouling the diff etc. 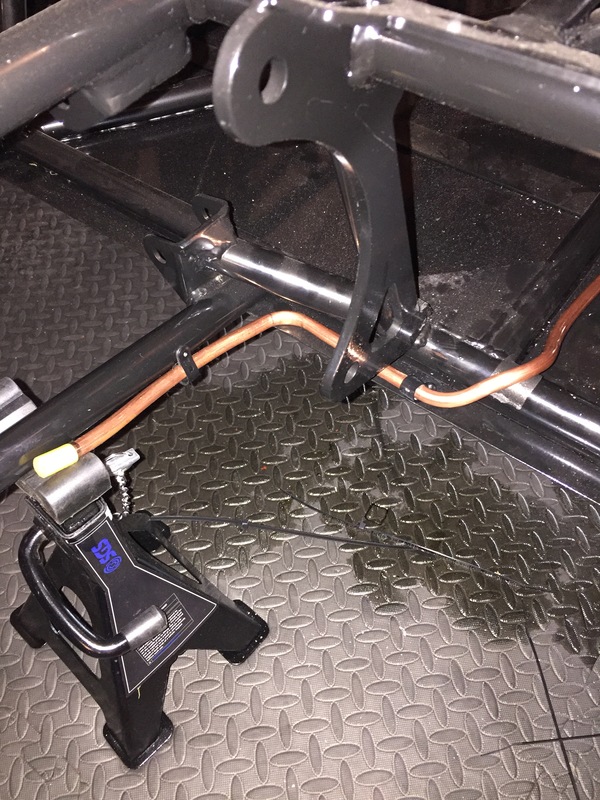 So that’s the main lines done, so hopefully i’ll get a break from drilling and riveting for a bit and can finally bolt some bits onto the car. 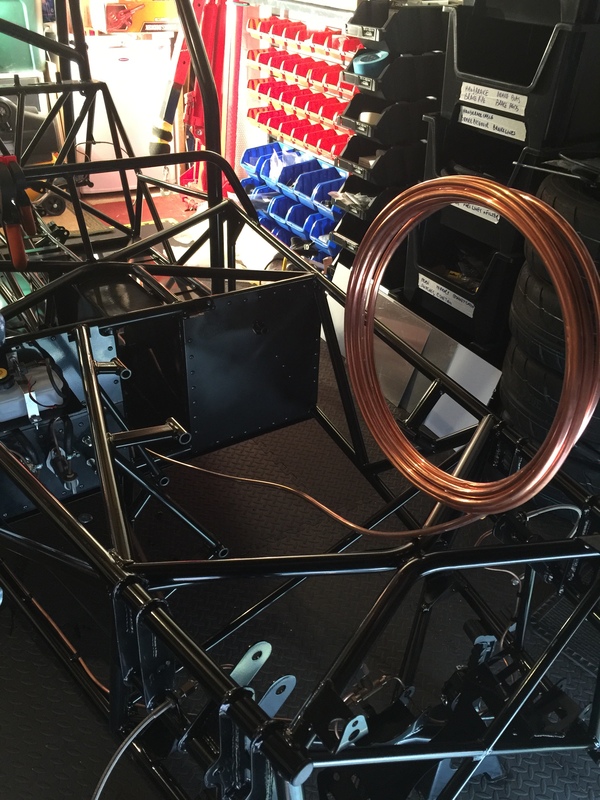 Next up though is wiring loom, need to figure out how it sits on the chassis – deep breath !